Being a blogger these days requires a great, seo-optimized and fast website. A well-designed theme will breathe life into your words and highlight them in the best possible way. Using one of the excellent WordPress themes available today are a great way to achieve a high quality website and blog. However, choosing a good WordPress Theme from the thousands of available themes can be a challenging task, even for us. We have put around 50 hours into finding the 10 best themes if you’re aiming to create a high quality blog. 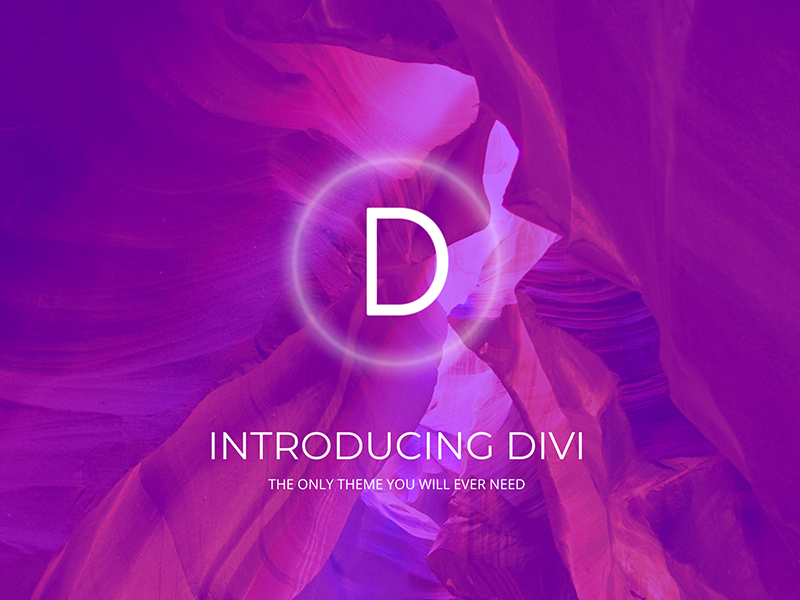 Divi is one of the best WordPress themes available today. Divi builder, the excellent front end editor with a host of amazing features makes website building a breeze. The theme has a fully customisable design and provides a host of elements to choose from. With more than twenty layout designs, you can create new pages in no time. You can even save your favourite layouts in the Divi library. The theme has a fully responsive design and is retina ready. If you only want to focus on your writing and are not fond of too many images in your blog, then Typology is the theme to go for. The design of this theme is purely text based, it has a very clean design. This theme makes your content look appealing even without images. This theme is particularly designed to give you a host of options to customise your typography. This will highlight your text in the best possible manner. You also get various other amazing features like twelve shortcodes, custom widgets, set up guide, one click demo and more. 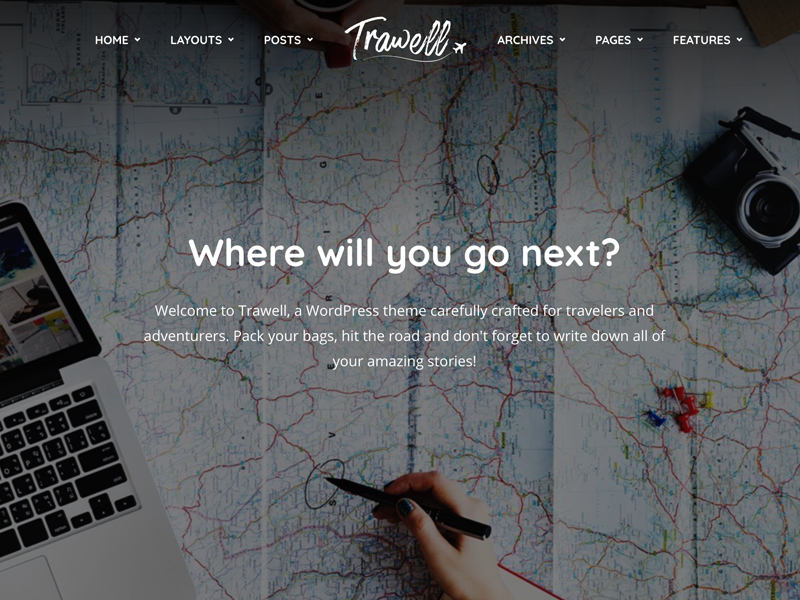 Your travel blog will get a nice look and feel with the Trawell WordPress theme. You can share your unique travel experiences and tips by choosing from a host of blog templates. Each travel destination in your blogs can be given a different styling effect. All your travel photos will stand out and look the best. You simply have to choose the most appropriate aspect ratio for the image from a range of options. You can even seamlessly integrate your website with Google maps. 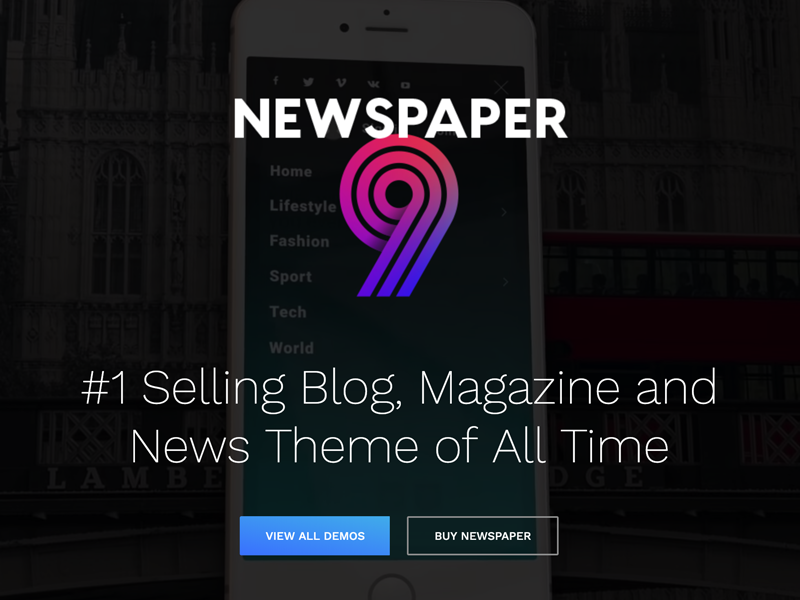 Newspaper is one of the best WordPress themes for news, magazine, newspaper, publishing or review websites. This theme is powered by tagDiv composer; an excellent front end editor. The page builder comes with around 100 templates and more than 420 layouts. There are also more than 50 one click demos. There are 35 post template designs in the library. There is absolutely no coding necessary to build your website. It also features integration with WooCommerce and Google AdSense. You can even add videos from Youtube to your blog with this excellent theme. 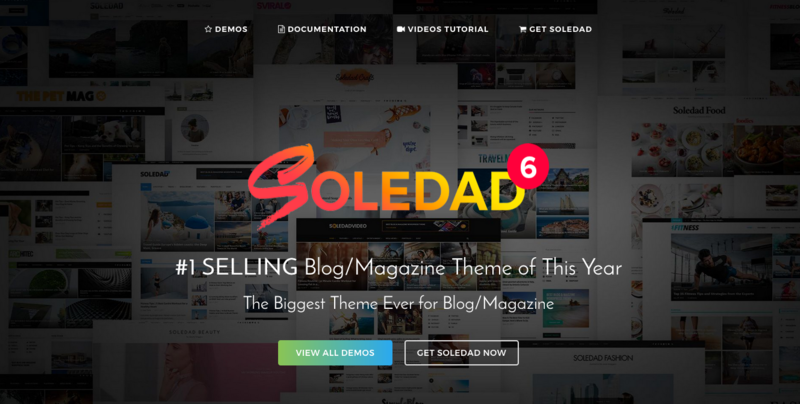 With Soledad, you can be rest assured to get a stylish and aesthetically appealing website for your blogs. There are more than 4000 live homepage demos which you can install with a single click. You can choose from more than 1000 slider and layout combinations and more than 600 options on WordPress live. The WPBakery page builder enables you to choose from an array of elements to build your site. The theme is WordPress 5.0 compatible and translation ready. If you are looking for some amazing design options for your site then Cheer Up is the theme to go for. There are more than 1000 layout combinations and twelve beautiful designs which is sure to give you a beautiful and appealing website in no time. You can choose from tons of slider, header and footer styles to build your site. Your posts can also be shared in the audio and video formats with this theme. This theme also promises great speed and smart page loading. The theme’s integration with WordPress Live Customise allows you to customise each and every aspect of your blog. 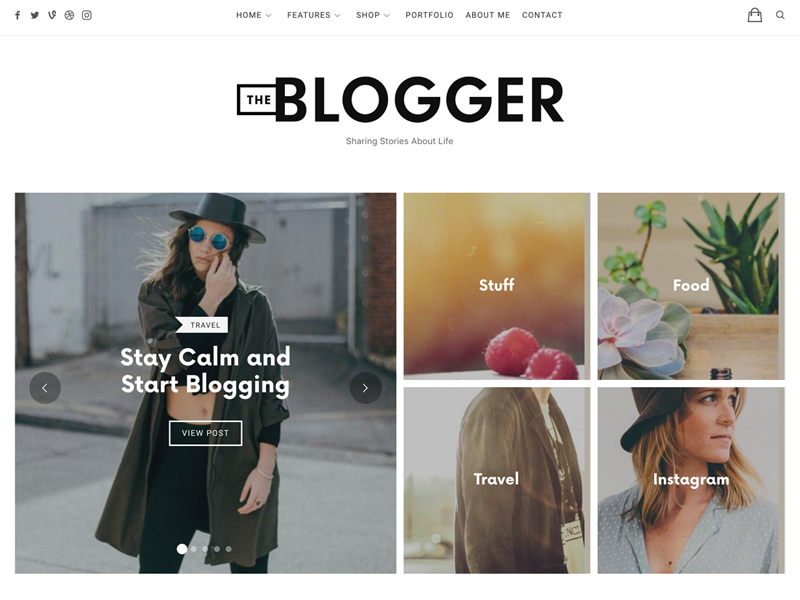 The Blogger is a very user friendly WordPress blogging theme. You simply have to drag and drop your content in the main featured area. Your posts and content look even more appealing with the parallax background. You can even add an introductory background video. The WordPress Popup Plugin has more than 100 ready to use templates and over 10 display options. The fully responsive design of this theme makes it very easy to use across all devices. 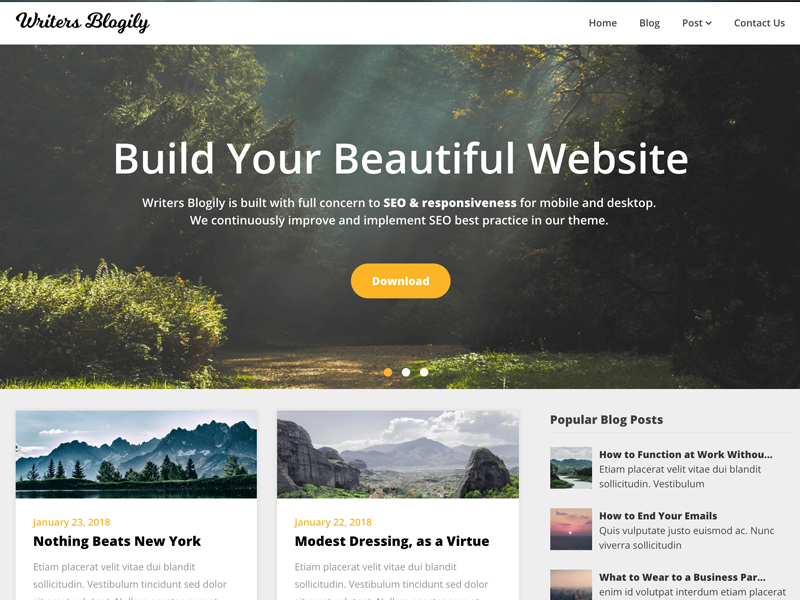 WritersBlogily is popular free WordPress theme. Writers Blogily is very popular and the feedback from the customers indicates that the popularity of the theme is due to its design and competitive price. The Writers Blogily has a premium version, which is SEO optimized and Gutenberg ready. The premium version has an impressive 0.2 seconds load time. Be Theme is one of the most successful WordPress theme for blogs. The theme a little more pricey then most other themes but is one of the great themes out there. 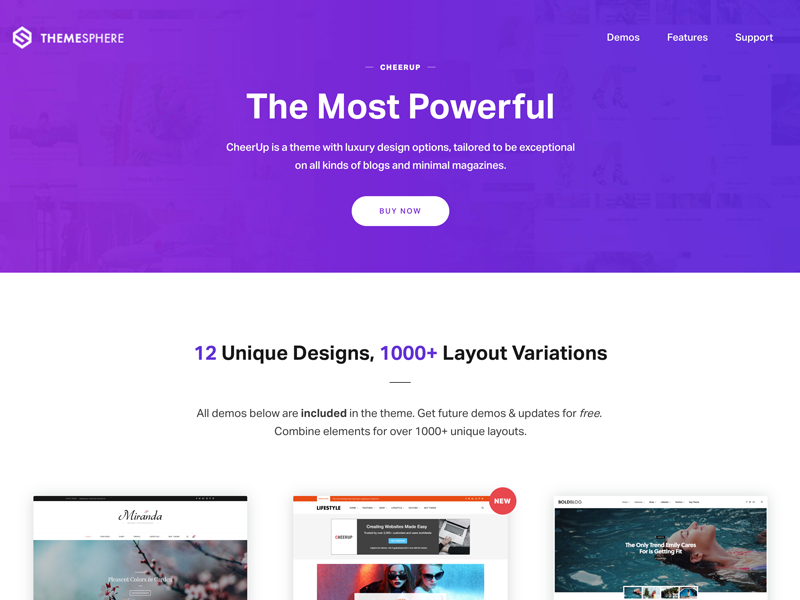 BeTheme WordPress Theme has been on the WordPress theme market for several years (since 2014) but many updates and redesignes has keept the theme has one of best on the market. BeTheme is a great choice for all you bloggers out there even though the WordPress Theme is a little costly. Why: The X theme is a hit and is one of the best selling WordPress themes on Themeforest. 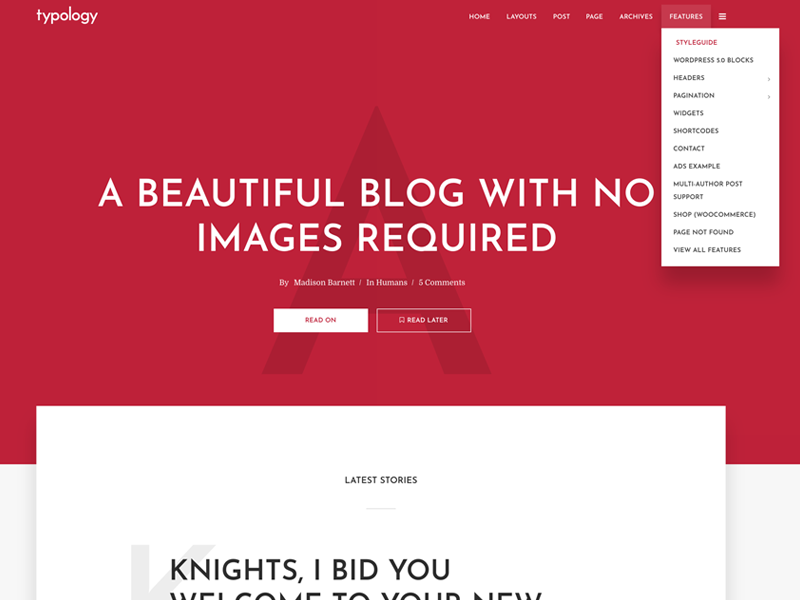 X The Theme is another of the bloggers favorite WordPress Theme. The first version of X The Theme was created in 2013 and from the beginning, the theme was an instant hit. Our reason for recommending X The Theme is the WordPress themes impressive pre-build easy to work with designs. X the Theme is not Gutenberg optimized which is the reason why we do not have the theme in the top five. X the Theme is compatible with WooCommerce, WPML, bbPress, BuddyPress, Cornerstone and Composer. Who: X the theme is designed by THEMECO and is sold on Themeforest.net. 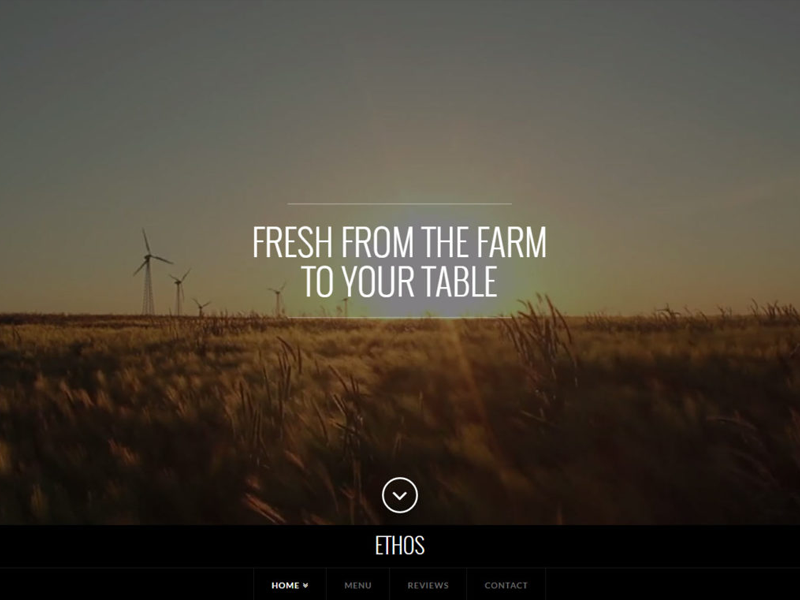 Enfold is a yet another great multi purpose WordPress theme with many exceptional features. The theme allows you to have a landing page, an e-commerce shop or most other reatures that you may wish on your blog. 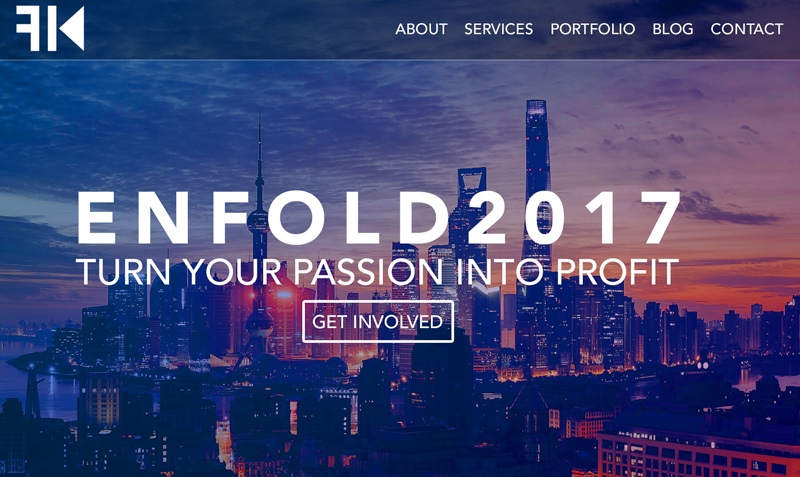 Our main reasons for keeping Enfold on our list is the great features such as one of the fastest page speeds available and regualar WordPress theme updates, which is a most for a WordPress theme in order to be a great theme. 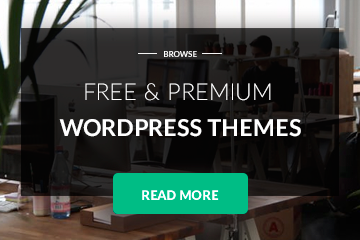 With Enfold you get an up-to-date theme which contains some of the latest features for WordPress themes. Choosing a good theme for your site is of the utmost importance as it is the theme which will decide how your work is showcased. Going for a theme which will cater to your particular blogging needs is very important. Hence randomly choosing a theme is definitely not a wise thing to do. This list of themes can help you recognise what your website requirements are and help you choose the perfect theme for your site.